Converter is the brainchild of Scott Sturgis, a one-man electro-consortium. Originating in Ohio, but now based in Seattle, Converter began in early 1998, when a growing interest in rhythm-drive sound inspired Sturgis to pursue a rhythmic noise-based project. 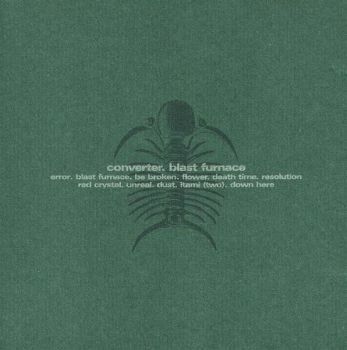 Converter saw its first release in 1999, with Shock Front, a mature work in the same vein as other artists in the Ant-Zen family such as P·A·L, Imminent Starvation and Iszoloscope, as well as well-known rhythmic noise innovators like Dive and Esplendor Geometrico. Converter investigates the industrial field, without denying its roots. Described as "hard hitting, noise tinged electro-industrial", the music is loaded with infectious and penetrating rhythms perfect for dance floors. 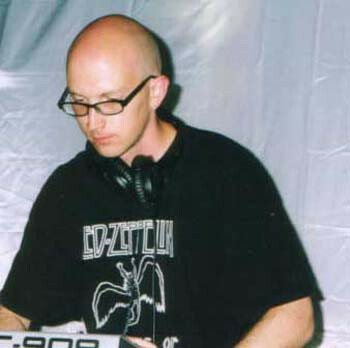 Tracks like "Coma", which has become a popular club hit in Toronto, offer machine-driven rhythms with a turbulent downpour of torrential electronics. Bombastic rhythms are coupled with tweaked synths to create an atmosphere of distorted aggression that shows no mercy in its relentless attack on your senses. Sturgis creates paranoid, intense and threatened atmospheres incorporating elements of powernoise and analogue electronics. Sturgis has a full resume, boosting projects Pain Station, a split disc with R4 (Dbs/R4), collaboration with Asche and Morgenstern, Xenonics K-30 (a collaboration with Leech from Navicon Torture Technologies ), and the recent project Notime to his roster. As well as writing music, Sturgis also began his own label, Auricle Media, with fellow artist Manufactura.